Morro Bay Art Association is proud to present world-renowned mixed media artist, Christi Friesen for three individual polymer clay workshops on April 26, 27 & 28, 2019. 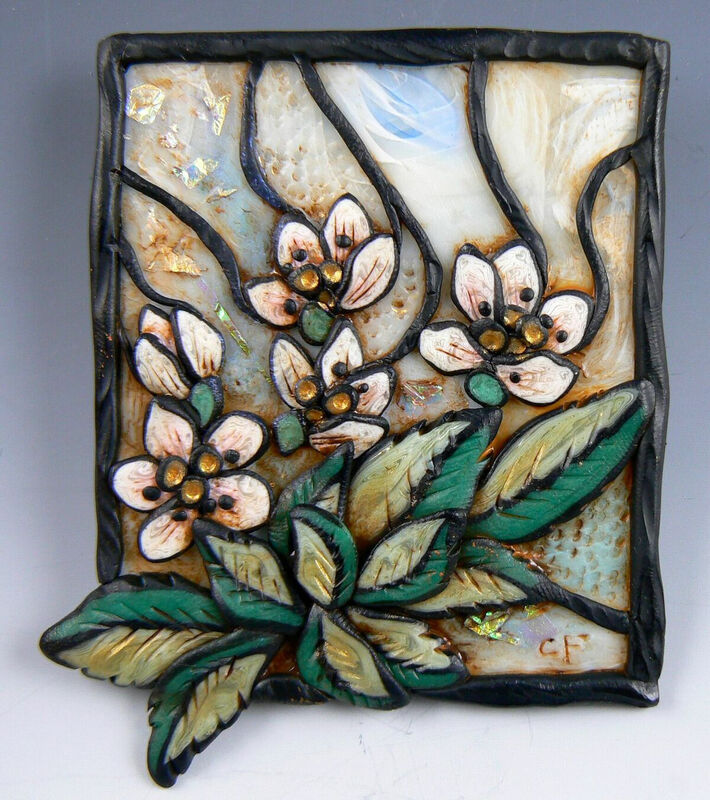 The finished piece can be a brooch or pendant or a small wall piece. All materials are provided. Just bring a smile! All skill levels welcome, no prior experience required. May cancel a registration up to 10 days of the scheduled workshop for a full refund. 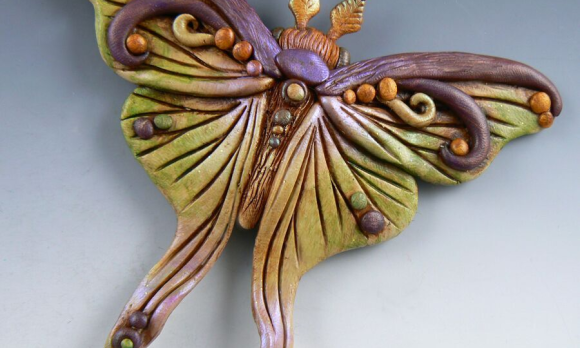 Polymer clay is very versatile. 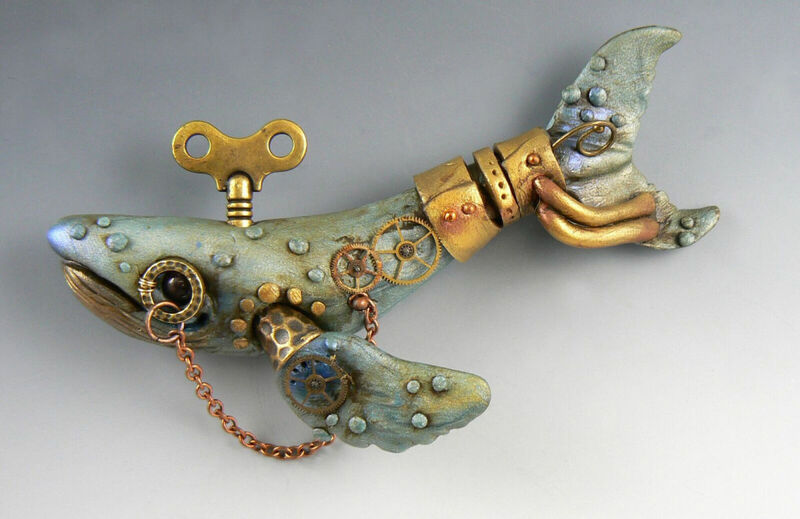 In this workshop, you will explore creating bas relief style sculptural pieces and adding painterly details with pastels and real gold leaf. 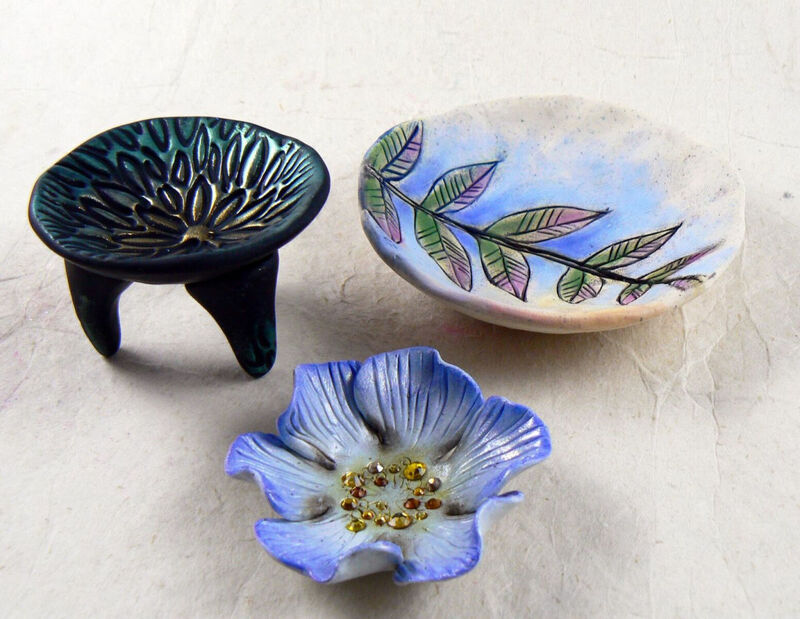 The finished pieces can be brooches or pendants or even small wall pieces. All materials are provided. You just bring your smile! You will have so much to explore in this workshop! No matter what your skill level, you will end the day with a whole new set of tricks at your fingertips! 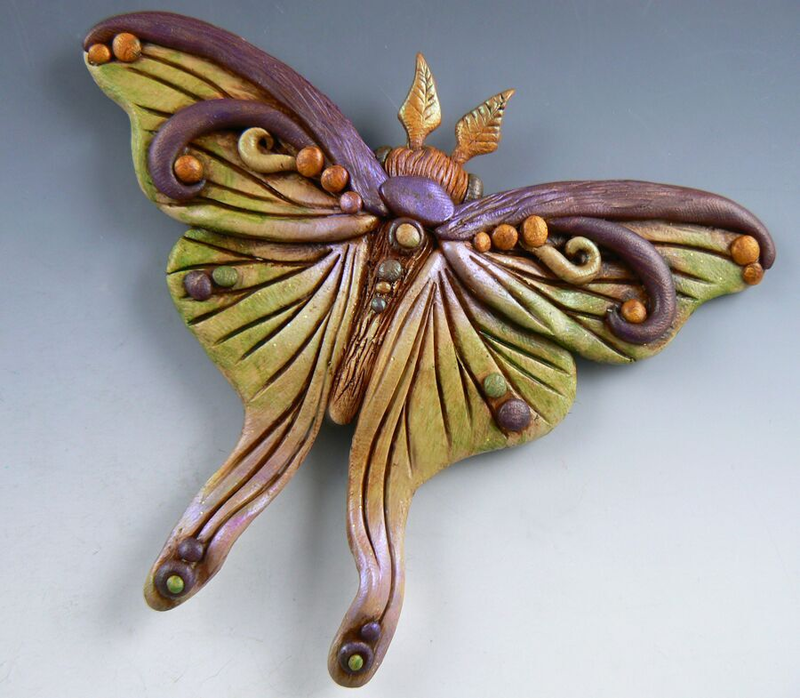 You will explore sculpting with polymer clay to create a butterfly that can be a brooch, pendant or wall piece. 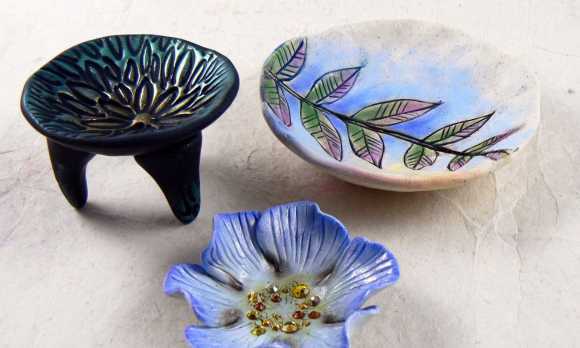 You will learn how to form an artful bowl and use powders to decorate it with incised line art. 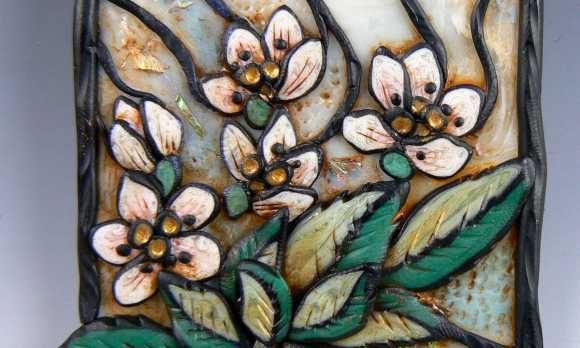 Polymer can mimic stained glass! It’s easy and very addictive – you’ll explore this technique as well. 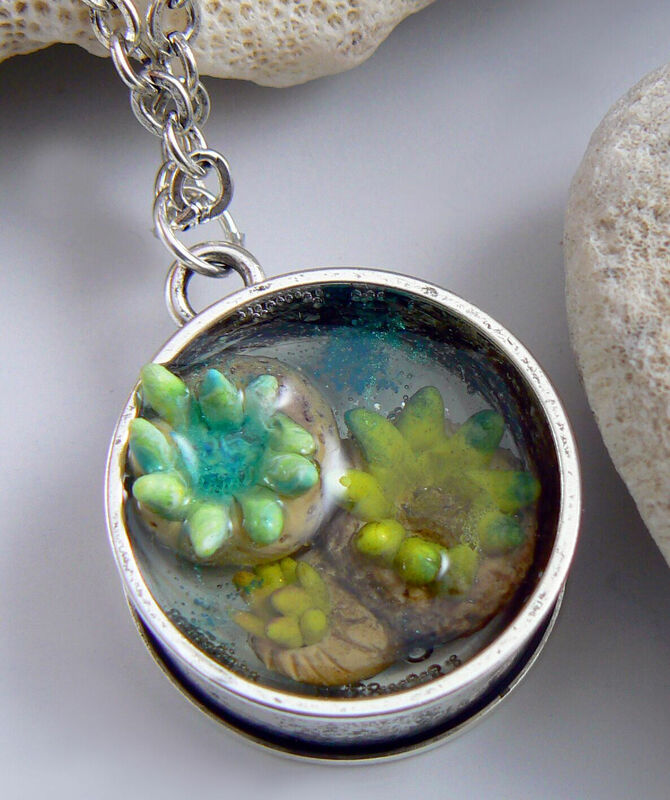 After creating polymer clay sculptural anemones, you’ll use resin to create a delightful tide pool brooch. But wait, there’s more! 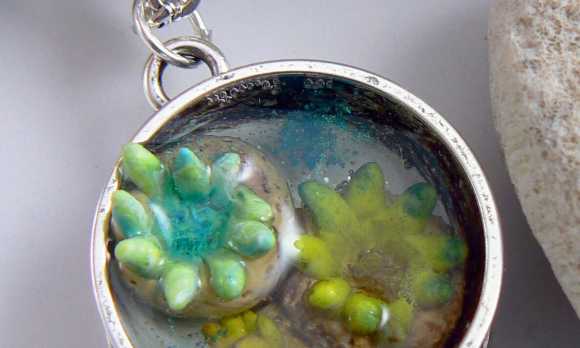 You will use epoxy clay to combine polymer and range of embellishments to create a small mosaic piece that can be a personal adornment or a decorative embellishment. All materials are provided. You just bring your smile!